Prime video neighbourhood at 117° West will support an advanced media management solution for broadcasters across the Americas Eutelsat Communications (NYSE Euronext Paris: ETL) and Globecast, the global solutions provider for media, announce they are partnering on a new media platform over the Americas. The Board of Directors of Eutelsat Communications, chaired by Dominique D’Hinnin, reviewed the financial results for the half-year ended 31 December 2017. 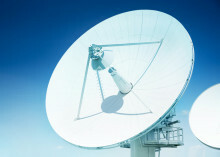 UnicomAirNet (UAN) has signed a multi-year agreement with Eutelsat Asia, an affiliate of Eutelsat Communications (Euronext Paris: ETL), to address the fast-growing in-flight connectivity (IFC) market in the Asia Pacific region. 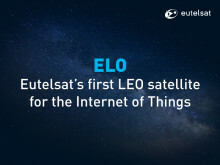 Elettronica Industriale, a subsidiary of the Italian group Mediaset, has signed a multi-year capacity agreement with Eutelsat (Euronext Paris: ETL) to accelerate its transition to High Definition (HD). 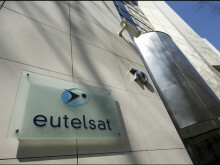 Eutelsat Communications today announced the appointment of Marie-Sophie Ecuer as Director Corporate Communications. 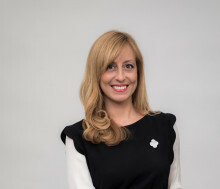 Marie-Sophie has a proven track record both in communications and the aeronautical and space industries, where she has gained most of her professional experience. 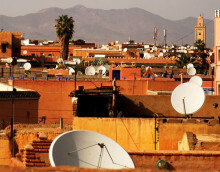 At CABSAT today, leading satellite operator Eutelsat Communications (Euronext Paris: ETL) released new data about the TV channels it broadcasts from its 7/8° West video neighbourhood. 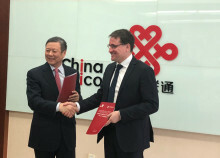 On the occasion of French President Emmanuel Macron’s state visit to China, Eutelsat Communications (Euronext Paris: ETL) has signed a Memorandum of Understanding with China United Network Communications Co., Ltd. (China Unicom) that is aimed at addressing the fast-growing satellite communications market in Asia-Pacific in the framework of the “Belt and Road” initiative. EUTELSAT 115 West B satellite to support defence networks in Andean region Bogota, Paris, 6 December 2017 – The Colombian Ministry of Defence has signed an agreement with Eutelsat Communications (Euronext Paris: ETL) for capacity on the EUTELSAT 115 West B satellite.